On 27 February 2018, the Honourable Minister Michael Sukkar issued a compulsory recall in respect of certain airbags manufactured by Takata Corporation. A copy of the compulsory recall is available from the Federal Register of Legislation. The compulsory recall applies to all frontal driver and passenger airbag inflators manufactured by Takata that use either Phase Stabilised Ammonium Nitrate (PSAN) without desiccant or PSAN with calcium desiccant. These airbag inflators are faulty and could kill or seriously injure vehicle occupants from when they reach six years after their year of manufacture. As the airbag inflators get older, a combination of high temperatures and humidity can affect them. If affected vehicles are involved in a collision, the airbags can go off with too much explosive force causing sharp metal fragments to shoot out and kill or seriously injure people in the vehicle. Please take note that any replacement airbag installed in your vehicle following a collision or other incident may also be faulty. If you receive a communication regarding the Takata recall, it is important that you contact a Chrysler dealer to arrange for the airbag to be checked and replaced, if faulty. 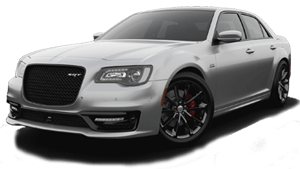 FCA emphasises that replacement of your Chrysler airbag is free, and can be performed by any authorised Chrysler dealer, regardless of where your vehicle was purchased. 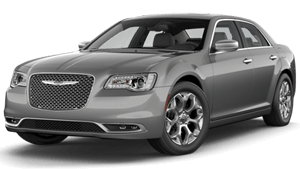 Chrysler acknowledges the inconvenience presented by the need to have your airbag replaced. If you have any concerns regarding the Takata recall, you may report these concerns to Customer Care at takata.au@fcagroup.com or on 1800 870 714, and/or to the Australian Competition and Consumer Commission at https://www.productsafety.gov.au/contact-us/for-consumers/make-an-enquiry. Should you require interpreting or translation services in relation to the recall, or this letter, please contact the Translating and Interpreting Service (TIS National) at https://www.tisnational.gov.au/ or on 131 450. If you are deaf, or have a hearing or speech impediment, you may contact the National Relay Service for assistance, at https://relayservice.gov.au/. If you have a question or need some assistance, please read through our Frequently Asked Questions here. How do I know whether my vehicle is subject to a Takata recall? FCA will contact you if your vehicle is subject to a Takata recall. As such, it is very important to keep your contact details up to date. FCA's future recalls are also set out in the Recall Initiation Schedule published on thie webpage. If your contact details have changed, or you have sold your Chrysler vehicle, you may update your contact details by contacting Customer Care at takata.au@fcagroup.com. FCA is also developing a recall database that will allow you to confirm whether your vehicle is subject to the Takata recall. This database will be available on this website by 1 July 2018. When will the recall be completed? All defective Takata airbags must be replaced by 31 December 2020, with priority of replacement given to airbags based on a range of factors including age and exposure to heat and humidity. Within one week of commencement of this Recall Notice. Within five business days after the replacement part arrives at the dealership nominated by the Consumer (or other such date as requested by the Consumer), where the replacement part is to be provided to the nominated dealership within two weeks of the Consumer request. As soon as practicable after the ACCC notifies a Supplier of approval or prescription of a Supplier's Communication and Engagement Plan under section 7(4) of this Recall Notice and on a rolling basis to allow for completion of replacement by the required dates. As soon as practicable, and in any event by 31 December 2020 unless otherwise approved by the ACCC, with replacement prioritised according to the Priority Factors in clause 4 of this Schedule and the applicable Quarterly Completion Schedule. FCA will recall its vehicles in accordance with the below Recall Initiation Schedule.